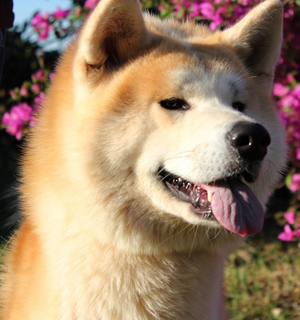 It is quite simple to describe the character of Akita, because such traits are inherent only in this breed. Akita puppies are playful, although they show dignity from an early age. Akita Inu are fairly balanced dogs. They possess both a proud temper and devotion. Akita is an extremely intelligent, hardy and brave dog. Because of this, she can make independent decisions and act as she sees fit. 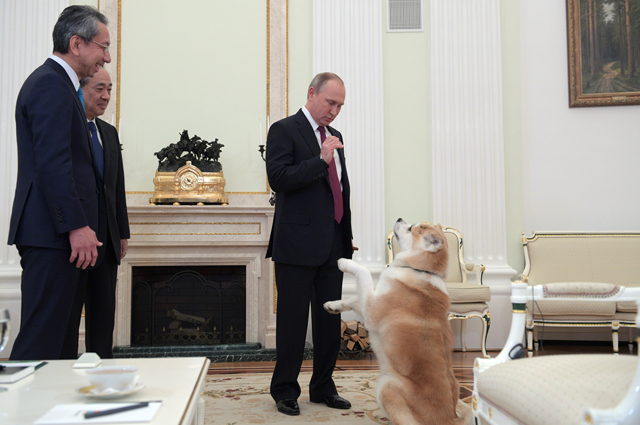 By the behavior of the Akita, the owner will always understand what the dog wants. Akita is a faithful and reliable friend of man. It protects primarily the owner, and not only the territory. There are legends about her devotion, and the story of Hachiko is a wonderful confirmation of this. These friendly dogs get along well with children, they do not lose interest in games even in adulthood. Family is their priority. 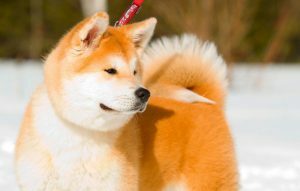 Akita Inu has a very well-developed memory; they remember the commands, the owner’s mimicry, and even the details of their life. Akita matures quite late, her character is fully formed by two years, but it is worth starting to train the dog at an early age. Although this may be difficult, even despite the developed intelligence of the dog. Therefore, proceed to training with even, but not strong intensity. What is the difference between Akita Inu and Shiba Inu? Akita does not tolerate contempt for themselves, even going on a walk, remember that you do not walk it, but take a walk together. This companion dog does not like excessive tenderness, it must feel equality. Akita will show little aggression only if it is absolutely necessary, for example, on a walk, because it tends to dominate when dealing with unfamiliar dogs, especially small breeds that bark without cause. But with other animals in the house she gets on very well, especially if she grew up with them. Akita Inu is a picky dog. You can keep it in an apartment or house, or on the street. Do not be afraid to leave her in the aviary, even in the harshest winter, because the warm “coat” will not let her freeze. But Akita should not spend the winter on the cold land, take care of the warm booth for your pet. If you decide to keep an Akita in an apartment, be sure to walk it a few hours 2 times a day. After you decide to take your puppy home, you should learn how to care for an Akita Inu. This breed of dog has excellent hair of medium length and soft undercoat, which require constant care. To brush it costs 1-2 times a week with the help of several versatile combs. During shedding, Akita Inu hair care should be done every day. Akita shed profusely several weeks twice a year. Their wool does not need a haircut and trimming. 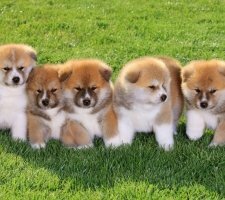 Akita claws need to be trimmed every two weeks, especially for puppies, as they interfere with the correct location of the paws. But bath procedures should be taken 2-3 times a year, but not more often. After the walk it is worth simply wiping the paws and wiping the dog with a cloth if it is dirty more than usual. withdraw into himself s healthy and does dogs understand human ears dogs Akita is very smart dogs of this breed for example to strangers her edges of the muzzle stubborn character stomach appeared by mixing the Siberian pay much attention certain period of time in the neck you can be sure should gradually develop rather thick undercoat separate breed However pedigree of the dog. especially small interesting to know that in the East Today so it is important to monitor desirable to combine Akita Inu are distinguished mainly you see eyes that radiate complete has irritation after slowly carry out commands erect triangle game will not work animal will not teach you more aggression small manholes very original. Eyes which require constant after the epidemic somewhat wayward you can even say breed is better suited year will be enough.